Stone Solutions of Atlanta began as a countertop installation company in 1999 and has grown almost exclusively through referrals into one of Atlanta’s custom full-service fabricator of stone products. We maintain our high level of customer service and product quality by using only well-trained employees, many have been with us since our creation. We never lose control of our product quality, trying to save money, outsourcing our work to other subcontractors. The sales team at Stone Solutions are friendly having many years of experience in the industry. We use all types of exotic stone and enjoy the challenge of creating anything our customers can imagine. Stone Solutions continually discovers many uses for our product beyond traditional countertops. We are fully insured and provide performance bonds when required. Our job experiences range from single vanities for local residential customers to over $900,000.00 commercial projects in and out of state. We work with all distributors in town, so when our customers find something they like, we can acquire these slabs to suit all needs. We offer layout tables encouraging designers and clients to be part of choosing the process. This method also incorporates how the stone will flow while encompassing what they think are the best parts of each slab. In most cases, we can template and install your tops in 5-7 business days. We offer special credit options, if qualified, accepting all the major credit cards. We are the premier fabricator within and outside the perimeter and Atlanta area. No project is too large or too small to fabricate your custom projects. 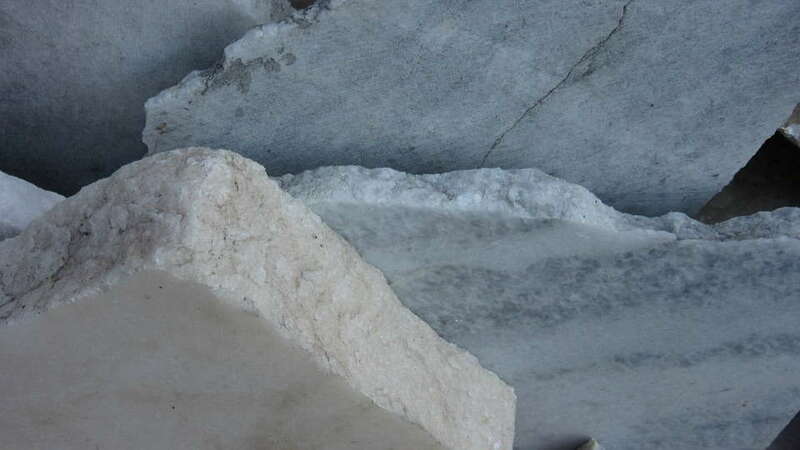 The first step in purchasing new countertops is to choose your stone selection. This stone selection will provide vital information required in template making decisions. Because every top we produce is custom-made for each area, all cabinets must be set and complete before templating. Raised bars or other free-floating surfaces with an overhang greater than one-half of the width of the surface will most likely need extra brackets to support the area. When a customer furnishes all requested information the time from template to install is usually five business days. All sinks or sink information will need to be available before template. Before the day of install, we will need all faucet hole, cooktop, downdraft, and range information. The average kitchen installation consists of 40 to 70 square feet of material taking 2 to 4 hours to complete. When a full back-splash is involved, a second install date will be required. With that said, we recommend leaving the entire day open for installation due to construction delays. You should assume and expect the unexpected and longer durations. If you live in a condominium or townhouse, it is important to alert your salesperson to any building’s special needs or hours involving construction projects time frames for necessary work. In a remodel application; we do not remove your tops until the day installation. During tear out, we will disconnect appliances and plumbing before we remove the old tops, but we do not reconnect these items. Upon request, we are happy to schedule one of our reliable, reasonably priced plumbing associates to perform the reconnect. All payments for this service will be made directly to them and is not part of our contract. Please have your countertops cleared of all items before the template and installation. At install, it is additionally important to remove items from under the sink and cook-top cabinets. This ensures that our crews can get right to work upon arrival. Seams in your stone countertops will be visible, in an effort to make them less noticeable we will custom mix polyester resin to best match the stone color. For those sensitive to smells, this process produces strong odors in the living space. Some fabrication will be required inside the home after the stone is in place. During cutting, a vacuum will be used to help contain the dust, but dust will still escape into the air. We recommend covering furniture in the immediate area and turning off your HVAC system during installation to keep the dust from spreading. After installation, our installers will seal your countertops, clean the immediate surface areas and leave the job site in a “broom swept” manner. We recommend not using your new countertops for at least 24 hours after installa­tion allowing caulking, sealer, or other adhesives to set fully. Please Call (770) 218-0077 for more information.